Your days do not define who you are. However, they have a tendency to rob you of your best. Walk in worthiness regardless of your days. You are an exceptional, beautiful woman. You impact the world with your dedication to family, the smile on your face, and the hopes you carry in your heart. The day may grow your heart weary. But don’t let it conquer your spirit. When your own thoughts attempt to convince you that you don’t measure up, think again. God knows your heart. He sees beyond the mistakes, beyond what others say about you. He sees a woman under construction with incredible worthiness. He sees a woman with love and devotion trying her best every day. He sees what you are becoming…Your best selfie! Take up your cross today. Your reflection is exquisite despite your successes and failures. The K.I.S.S. ~ Walk in worthiness! God sees your heart. He sees beyond the mistakes, mishaps, the misgivings. Believe in the potential God has placed within you. 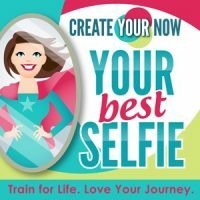 Create your now! Break the barrier from all the negative and condemning thoughts. Know that God sees you closer than a His own eyelash and looks beyond the surface.